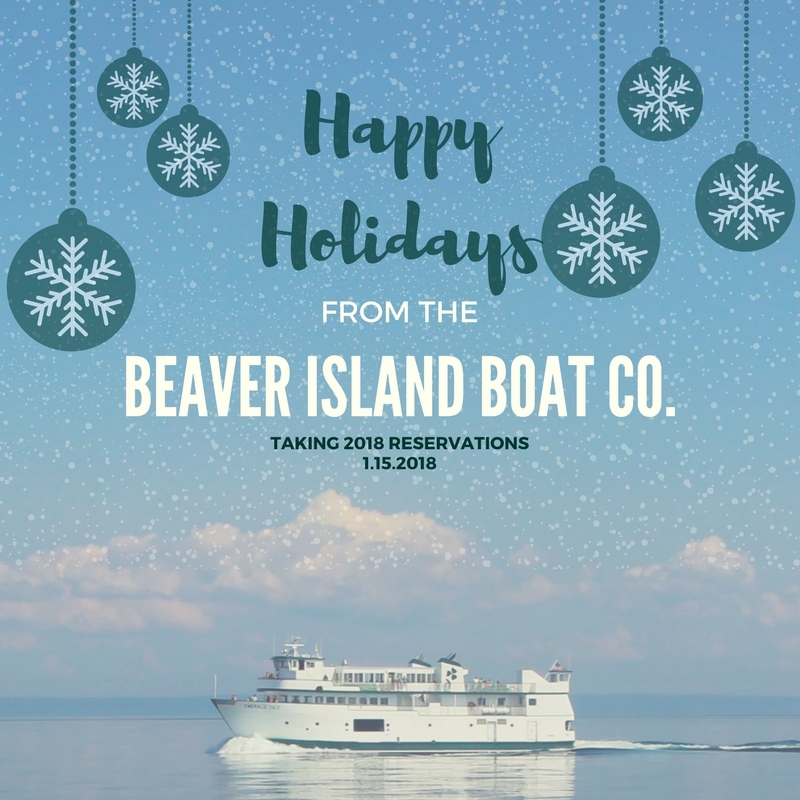 Happy Holidays from the Beaver Island Boat Company! As a reminder both of our offices and docks will be closed on December 23rd, 2017 until the 2nd of January, 2018 with the Charlevoix office being open. We will start to take vehicle reservations on January 16th, 2018 for our upcoming season. Please call our office at (231)-547-2311 or (888)-446-4095 to make your reservation.